This paper explores the contested nature of truth and memory in Sri Lanka’s transitional justice debate. It delves into the predominant Sinhalese and Tamil narratives that present opposing demands for justice in the aftermath of the armed conflict. It maps how Sinhalese and Tamils have come to view criminal justice and truth commissions as mutually exclusive mechanisms based on their respective understandings on the history of the ethnic conflict and ending of the armed struggle. An exploration of competing narratives is important in search for appropriate mechanisms of transitional justice in the heavily polarised Sri Lankan society. The paper argues that truth should be established objectively to the furthest possible extent by exploring a multitude of existing narratives. It concludes that addressing these competing narratives is central to any meaningful process of transitional justice in Sri Lanka. The paper also proposes a combination of mechanisms of retributive and restorative justice. It emphasises the timing factor of criminal justice: given the sensitivity of the situation, it cannot be the first mechanism to apply, but should not be delayed for too long either. Most importantly, the paper calls for a societal reckoning with its criminal past by opening up one-sided ethno-national narratives. Assmann, A. & L. Shortt (eds.) 2012. Memory and Political Change. London: Palgrave Macmillan UK. Bajoria, J. 2009. The Sri Lankan Conflict. Council on Foreign Relations, May 18. http://www.cfr.org/terrorist-organizations-and-networks/sri-lankan-conflict/p11407. Bevernage, B. 2012. History, Memory, and State-Sponsored Violence: Time and Justice. London: Routledge. Bloomfield, D. 2003. Reconciliation: An Introduction. In Reconciliation After Violent Conflict: A Handbook (eds.) D. Bloomfield, T. Barnes & L. Huyse, 10–18. Stockholm, Sweden: International Institute for Democracy and Electoral Assistance (available online: http://www.un.org/en/peacebuilding/pbso/pdf/Reconciliation-After-Violent-Conflict-A-Handbook-Full-English-PDF.pdf, accessed 24 May 2017). Blustein, J. 2008. The Moral Demands of Memory. New York: Cambridge University Press. Brants, C. & K. Klep. 2013. Transitional Justice: History-Telling, Collective Memory and the Victim-Witness. International Journal of Conflict and Violence (IJCV) 7 (1): 36–49. Budak, Y. 2015. Dealing with the Past: Transitional Justice, Ongoing Conflict and the Kurdish Issue in Turkey. International Journal of Transitional Justice, April, 1–20. doi:10.1093/ijtj/ijv002. Chapter 1. The Right to the Truth. 2013. International Center for Transitional Justice. March 18. https://www.ictj.org/sites/default/files/ICTJ-Book-Truth-Seeking-Chapter1-2013-English.pdf. Crisis in Sri Lanka. 2016 (available online: http://www.responsibilitytoprotect.org/index.php/crises/crisis-in-sri-lanka, accessed 24 May 2017). David, R. 2011. Lustration and Transitional Justice- Personnel Systems in the Czech Republic, Hungary, and Poland. University of Pennsylvania Press. DeVotta, N. 2016. Parties Political Decay and Democratic Regression in Sri Lanka. 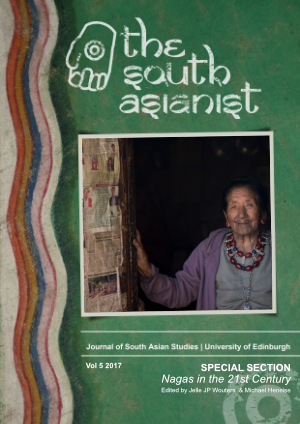 In Parties and Political Change in South Asia (ed.) J. Chiriyankandath, 139–65. London: Routledge. Dimitrijevic, N. 2006. Moral Responsibility for Collective Crime - Transitional Justice in the Former Yugoslavia. Eurozine, July 5 (available online: http://www.eurozine.com/articles/2006-07-05-dimitrijevic-en.html, accessed 24 May 2017). Domingo, P. 2012. Dealing with Legacies of Violence: Transitional Justice and Governance Transitions. Overseas Development Institute (available online: https://www.odi.org/sites/odi.org.uk/files/odi-assets/publications-opinion-files/7686.pdf, accessed 24 May 2017). Elster, J. 2003. Memory and Transitional Justice. In, 1–13. Cambridge, Massachusetts: MIT (available online: http://web.mit.edu/rpeters/papers/elster_memory.pdf, accessed 24 May 2017). Grassie, W. 2012. Seeking Truth in a World of Competing Narratives. Huffington Post (available online: http://www.huffingtonpost.com/william-grassie/seeking-truth-in-a-world-_b_1452389.html, accessed 30 April 2017). Hayner, P. B. 2010. Unspeakable Truths: Transitional Justice and the Challenge of Truth Commissions. Taylor & Francis. Hettiarachchi, M. 2013. Sri Lanka’s Rehabilitation Program: A New Frontier in Counter Terrorism and Counter Insurgency. PRISM 4 (2): 105–22. _____ 2015. Sri Lanka’s Rehabiliatation Programme: The Humanitarian Mission Two. In Terrorist Rehabilitation: A New Frontier in Counter-Terrorism, edited by Rohan Gunaratna and Mohamed Bin Ali, 103–32. World Scientific. Hogg, C. L. 2011. Sri Lanka: Prospects for Reform and Reconciliation. ASP PP 2011/06. Asia Programme Paper. London: Chatham House (available online: https://www.chathamhouse.org/sites/files/chathamhouse/1011pp_srilanka_0.pdf, accessed 24 May 2017). Hoglund, K. 2005. Violence and the Peace Process in Sri Lanka. Civil Wars 7 (2): 156–70. doi:10.1080/13698280500422843. Jeyaraj, D.B.S. 2015. LTTE’s Cruel Conduct on Tamil Civilians in Wanni. Daily Mirror. September 25 (available online: http://www.dailymirror.lk/88895/ltte-s-cruel-conduct-on-tamil-civilians-in-wanni, accessed 24 May 2017). Lecamwasam, N. O. 2016. Transitional Justice in Post-war Sri Lanka: Dilemmas and Prospects. Polity 7 (1): 14-7 (available online: http://ssalanka.org/transitional-justice-in-post-war-sri-lanka-dilemmas-and-prospects-nipunika-o-lecamwasam/, accessed 24 May 2017). Liyanage, S. 2015. Mahinda Rajapaksa Was Defeated Primarily Because of His Policy on the National Question. Dbsjeyaraj.com. January 12 (available online: http://dbsjeyaraj.com/dbsj/archives/37210, accessed 24 May 2017). Mendez, J. E. 1997. Accountability for Past Abuses. Human Rights Quarterly 19 (2): 255–82. doi:10.1353/hrq.1997.0018. Olick, J. K. 2008. Collective Memory. Edited by William A. Darity, Jr. International Encyclopedia of the Social Sciences. Detroit: Macmillan Reference USA (available online: http://sociology.virginia.edu/sites/sociology.virginia.edu/files/galecm.pdf, accessed 24 May 2017). Peiris, G.L. 2010. Minister’s Speeches. Ministry of External Affairs, Sri Lanka. June 6 (available online: http://www.mea.gov.lk/index.php/en/media/ministers-speeches?start=15, accessed 24 May 2017). Pomian, Krzysztof. 2011. Divided Memory: European Sites of Memory as Political and Cultural Phenomenon. European Network Remembrance and Solidarity. August 23 (available online: http://www.enrs.eu/articles/219:divided-memory, accessed 24 May 2017). Poole, Ross. 2008. Memory, History and the Claims of the Past. Memory Studies 1 (2): 149–66. doi:10.1177/1750698007088383. Promotion and Protection of Human Rights. Study on the Right to the Truth. 2006. Report of the Office of the United Nations High Commissioner for Human Rights. Economic and Social Council of the UN, E/CN.4/2006/91. Release of the Lessons Learnt and Reconciliation Commission (LLRC) Report. 2012. Centre for Policy Alternatives (available online: http://www.cpalanka.org/release-of-the-lessons-learnt-and-reconciliation-commission-llrc-report/, accessed 3 Jan 2017). Report of The Commission of Inquiry on Lessons Learnt and Reconciliation. 2011. Government of Sri Lanka (available online: http://www.priu.gov.lk/news_update/Current_Affairs/ca201112/FINAL%20LLRC%20REPORT.pdf, accessed 24 May 2017). Report of the Secretary-General’s Panel of Experts on Accountability in Sri Lanka. 2011. United Nations (available online: http://www.un.org/News/dh/infocus/Sri_Lanka/POE_Report_Full.pdf, accessed 24 May 2017). Report of the OHCHR Investigation on Sri Lanka (OISL), 2015, Office of the United Nations High Commissioner for Human Rights, Geneva (available online: http:// tinyurl.com/hah83cw, accessed 24 May 2017). Response to the Lessons Learnt and Reconciliation Commission Report: Tamil National Alliance. 2012 (available online: http://www.sangam.org/2012/01/TNA_LLRC_Response.pdf, accessed 24 May 2017). Return to War: Human Rights Under Siege: II. Background. 2016 (available online: https://www.hrw.org/reports/2007/srilanka0807/2.htm, accessed 10 May 2017). Sachs, A. 2002. Different Kinds of Truth: The South African Truth and Reconciliation Commission. In Experiments with Truth: Transitional Justice and the Processes of Truth and Reconciliation (eds.) O. Enwezor, C. Basualdo, U. M. Bauer, S. Ghez, S. Maharaj, M. Nash & O. Zaya, 43–60. Ostfildern-Ruit, Germany: Hatje Cantz. Sinhala Opposition to Accountability for Tamil Suffering. 2011. Tamil Guardian. April 19 (available online: http://www.tamilguardian.com/article.asp?articleid=3115, accessed 24 May 2017). Sri Lanka News | Ministry of Defence, Public Security, Law & Order. 2016 (available online: http://www.defence.lk/rehabilitation/rehabilitation_more_news.asp, accessed 10 May 2017). Sri Lanka’s Rehabilitation of the Liberation Tigers of Tamil Eelam: A Programme of Physical and Mental Pacification. 2014. Middlesex, UK: Tamils Against Genocide (available online: http://www.tamilguardian.com/files/File/TAG%20Rehab%20report%20Feb2014/TAG%20Rehabilitation%20Report%20January%202014.pdf, accessed 24 May 2017). Subotic, J. 2011. Expanding the Scope of Post-Conflict Justice Individual, State and Societal Responsibility for Mass Atrocity. Journal of Peace Research 48 (2): 157–69. doi:10.1177/0022343310394696. Sutton, J. 2016. Memory. Edited by Edward N. Zalta. Stanford Encyclopedia of Philosophy, Winter 2012 Edition (available online: http://plato.stanford.edu/archives/win2012/entries/memory/, accessed 10 May 2017). Teitel, R. 2003. Transitional Justice Genealogy. Harvard Human Rights Journal 16: 69–94. _____. 2006. Transitional Justice: Postwar Legacies. Cardozo Law Review 27 (4): 1615–31. Transitional Justice in Sri Lanka and Ways Forward. 2015. Colombo, Sri Lanka: Centre for Policy Alternatives (available online: http://www.cpalanka.org/wp-content/uploads/2015/07/Transitional-Justice-in-Sri-Lanka-and-Ways-Forward.pdf, accessed 24 May 2017). Truth Seeking: Elements of Creating an Effective Truth Commission. 2013. International Center for Transitional Justice (available online: https://www.ictj.org/publication/truth-seeking-elements-creating-effective-truth-commission, accessed 18 March 2017). UNFGG, UPFA, JVP &TNA Manifestos: Parliamentary Elections 2015. 2015. August (available online: https://www.colombotelegraph.com/wp-content/uploads/2015/08/Election-held-LAA.xls-.pdf, accessed 24 May 2017). Vandeginste, S. 2003. Reparation. In Reconciliation After Violent Conflict: A Handbook (eds.) D. Bloomfield, T. Barnes & L. Huyse, 145–62. Stockholm, Sweden: International Institute for Democracy and Electoral Assistance (available online: http://www.un.org/en/peacebuilding/pbso/pdf/Reconciliation-After-Violent-Conflict-A-Handbook-Full-English-PDF.pdf, accessed 24 May 2017). What Is Transitional Justice? | ICTJ. 2011. International Center for Transitional Justice (available online: https://www.ictj.org/about/transitional-justice, accessed 22 Feb. 2017). What Is Transitional Justice? 2009. International Center for Transitional Justice (available online: https://www.ictj.org/sites/default/files/ICTJ-Global-Transitional-Justice-2009-English.pdf, accessed 24 May 2017). When Will They Get Justice? Failures of Sri Lanka’s Lessons Learnt and Reconciliation Commission.’ 2011. London, United Kingdom: Amnesty International (available online: https://sydney.edu.au/arts/peace_conflict/docs/reports/failures_SL.pdf, accessed 24 May 2017). Wickramasinghe, L. 2011. The Lessons Learnt and Reconciliation Commission (LLRC) Concludes Its Work: The Final Report Will Be Handed over to the President on 20 November. Ministry of External Affairs, Sri Lanka (available online: http://www.mea.gov.lk/index.php/media/news-archive/3146-the-lessons-learnt-and-reconciliation-commission-llrc-concludes-its-work-the-final-report-will-be-handed-over-to-the-president-on-20-november, accessed 24 May 2017).